Marcia Hale's traditional "Holiday Light Fantasy" display. Marcia Hale's traditional "Holiday Light Fantasy" display. Marcia Hale's traditional "Holiday Light Fantasy" display. 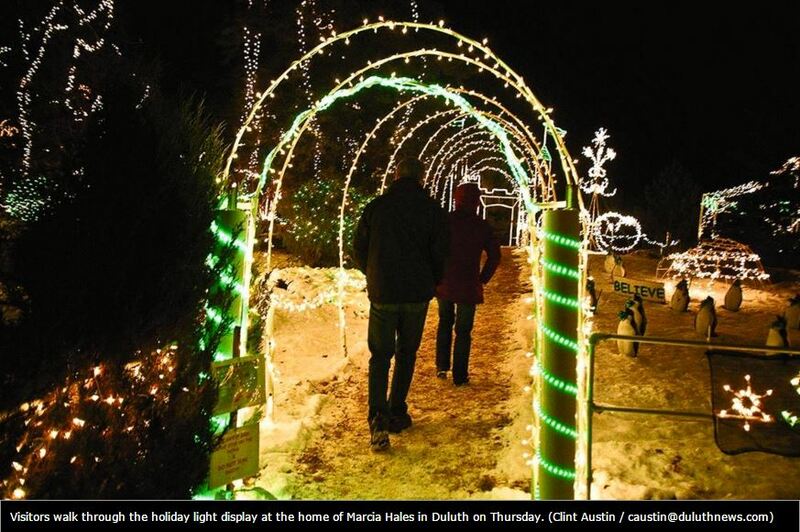 Marcia Hale wondered if if she was going to keep her “Holiday Light Fantasy” going or not. “It’s easy to start a tradition,” she said to herself. “It’s difficult to bring one to an end.” The soft lights at Marcia Hales’ place on the 3700 block of Park Point’s Minnesota Avenue lit all around her. Her friend Salo Downs spoke in a manner one might expect to hear from the star fairies and angels that hung in the trees. “It’s peaceful; it quiets your soul,” Salo Downs said of the lighting display. “That’s what Christmas is — peace. It’s heaven. It’s enlightening. I hate to sound so trite, but you can feel the love.” Then the phone rang. It was ABC television. “They wanted to talk to me about a television special,” she said. Local videographer Paul Walsh had filmed a 5-minute video about her display and put it on the Internet. The folks at ABC told Hales in the phone call they loved it and wanted to see more. Walsh was back at Hales’ place on Thursday. It must have been soon after that call that she was on the phone to us at Lasers and Lights.com to purchase some more BlissLights Sprights holiday lighting lasers projectors to add even more dazzling lighting to her display. Newer "The Great Christmas Light Fight" displays on the Great Lakes! 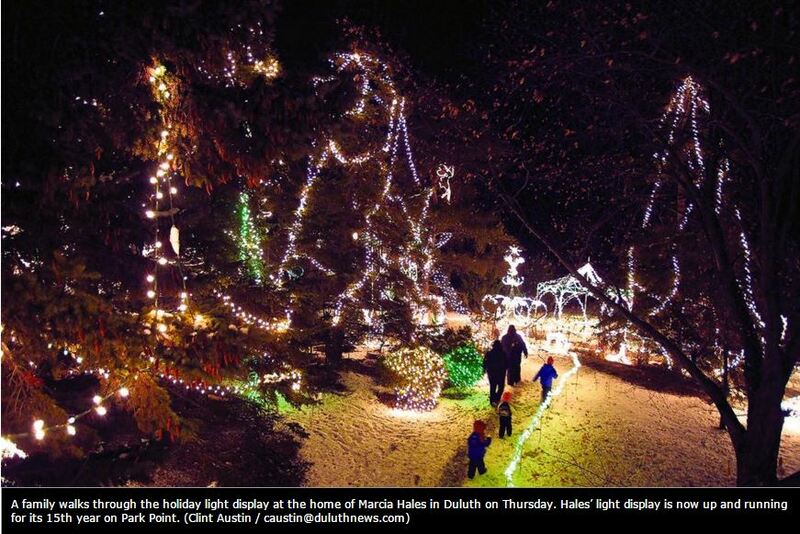 "The Great Christmas Light Fight" displays on the Great Lakes!